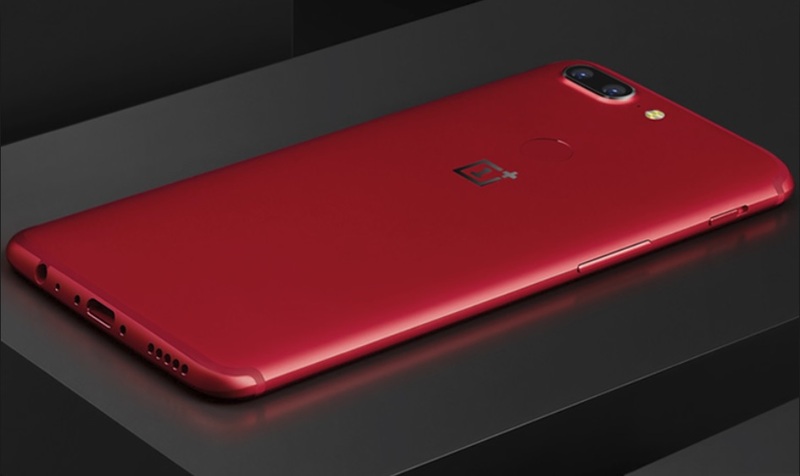 After launching the OnePlus 5T globally which is now available for purchase in India too, OnePlus has launched a new 4th Anniversary Edition of the device the OnePlus 5T Lava Red Colour Variant, but sadly it will be exclusive to China only. According to the company, the new OnePlus 5T Lava Red Colour Variant price will start at 2,999 RMB (about $450), for the base 6GB RAM/64GB variant. For the 8GB RAM/128GB variant we can expect the price somewhere around 3,499 RMB (about $500). OnePlus 5T sports a 6.01-inch full-HD+ (2160×1080 pixels) AMOLED display with an 18:9 aspect ratio, 401ppi pixel density, and 2.5D Corning Gorilla Glass 5 protection. OnePlus 5T is powered by an octa-core Snapdragon 835 SoC, clocked at up to 2.45GHz, paired with either 6GB or 8GB of LPDDR4X RAM. On the camera front, it includes a 16-megapixel Sony IMX398 sensor with an aperture of f/1.7. The secondary camera on the back includes a 20-megapixel Sony IMX376K sensor rather than the 20-megapixel Sony IMX350 sensor used on the OnePlus 5. The new OnePlus 5T Lava Red Colour Variant will be China exclusive as of now but we could expect it to be available in other parts of the world in near future but till then we will have to wait and watch.